We’ve talked trends for womenswear and the little ones and now we’re talking home! Spruce up your house with these wonderful knitted and crochet additions as Jenni talks you through the must-have pieces to get your home looking like something from a glossy mag! If like me you love to knit cosy pieces for your home, you’re in for a treat this season! Home styling is all about cosy knits – think of your home as an ‘Autumn Retreat’, a place to escape the cold and get snuggly. It’s all about big chunky knits (Fat & Sassy we’re looking at you), cabled cushions and cool poufs (which are great for kids to jump on and adults to snooze on). And what about the shades? It’s all shades of grey! So without further adieu, here are the top pieces you need to knit and crochet this season. Poufs are all the rage right now! It’s a highly versatile addition to your home that can be used as a foot rest, seating or even a coffee table, they’re a brilliant addition to your living room. 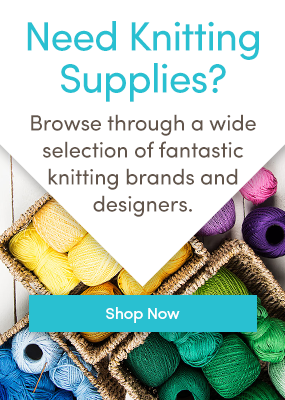 Check out some designs available on LoveKnitting. There’s something super cool and modern about a knitted or crocheted basket, and not just for keeping your yarn in, it would make a great addition to your bathroom, make-up table or kids room to store all your bits and bobs! Now, who doesn’t want a irresistibly soft, chunky throw to nestle in on a cold, rainy day? Because I certainly do! These blankets give an instant snuggly yet contemporary feel to your home. Not a fan of the cable? No worries, we’ve got some gorgeous textured cushions that will fit the bill and liven up any bed or sofa in your home. Are you a fan of these patterns? What do you think is a must-knit for the season? Last updated: September 23rd, 2015. I downloaded the Ashby Cushion Knitting Pattern by Rowan – and it turns out it’s not a knitting pattern: it’s for crochet.